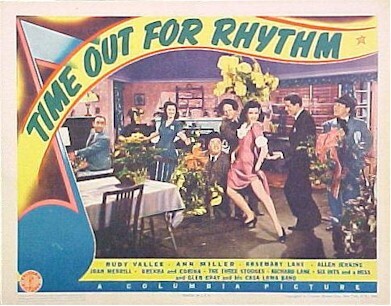 1941 - Here is the very RARE lobby card with the Three Stooges, including "Curly" in a great scene with Ann Miller. 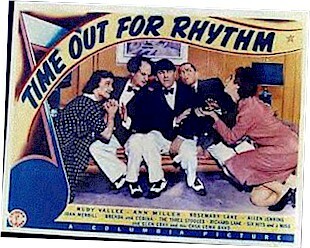 Their rare movie cameos were the only rare chance for color Three Stooges lobby cards with Curly. Here is just a great shot of the three comedy legends! 1941 - An incredible close-up shot of the three in a great pose! You won't find a better vintage Stooge lobby card!! The best from the set and the first we have ever seen!